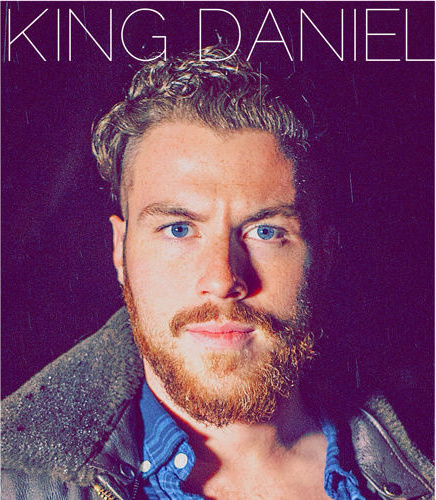 24-year-old folk musician King Daniel has been an MMA fan for almost exactly half of his life. He was introduced to the UFC through the BJJ community when he started taking lessons at 12, and has been following the sport ever since. “I was a little kid following the sport before Brock Lesnar and Kimbo Slice and all of those big stars that are around now,” he says. And in all of that time, the singer has never seen anything quite like “The Notorious” Conor McGregor. “I think he is the first folk hero of the sport,” the singer declares. Watching the brash Irish featherweight climb through the ranks of Cage Warriors, winning fans and foes alike with his devastating striking and, well, notorious loud mouth, helped King Daniel through a particularly rough patch in his music career, and even inspired him to start training BJJ again. So when McGregor earned a title shot against reigning UFC Featherweight Champion, Jose Aldo, the singer decided to immortalize his martial arts hero in song. After a few months of playing the tune, called “There’s Only One,” at gigs, King Daniel released a live recording of the song last week, and immediately gained the attention of the MMA community (and the ire of the occasional McGregor hater). The day before the rib fracture heard round the world, we talked the singer and BJJ blue belt (under Royler Gracie black belt Mike Mrkulic) about McGregor, his new MMA anthem, his future musical martial arts plans, and his predictions for the big fight. What is it about Conor McGregor as a fighter and personality that appeals to you so much? A couple of years ago, before he was in the UFC, he was fighting in a company called Cage Warriors and he won the championship in two different weight classes in that. He was getting famous in Ireland and he was this crazy, loudmouthed Irish guy. At that time, I was living in Philly, my band had just showcased for a bunch of record labels, and I thought I was going to be set doing music for my life. And all of a sudden my world went into turmoil, my band was breaking up, I didn’t know what I was going to do. It takes a lot of mental perseverance to keep working in a kind of weird industry where there’s not a clear cut path. So I listened to these interviews with this guy Conor McGregor, and he’s saying all of this crazy stuff, that he’s going to go to the UFC and he’s going to win the championship, he’s going to knock everyone out, he’ll beat Jose Aldo, no problem and it’s no big deal. I just loved it, I thought it was so cool. It was so nice to hear somebody really making big claims and big plans and he didn’t care if everyone else said “You should shut your mouth. You should be more modest and humble and wait and maybe eventually something good will happen to you.” Instead, he kind of just went out and did it, and I was really inspired by that in my own musical career. Is that also what inspired you to write this song? I wrote the song when they said he was going to be able to fight for the title. I got inspired by from hearing these Irish fans sing this chant they do. They originally did it for Ricky Hatton, who’s an Irish boxer. It’s to the tune of “Winter Wonderland,” they would sing “There’s only one Ricky Hatton, only one Ricky Hatton.” Then they started doing that for Conor McGregor when he started getting big, so I was like “Dude. This guy’s the man.” They’re singing songs for him at the stadiums. It’s unlike anything else or any of these other MMA fighters. Since “Winter Wonderland” is, I think, copyrighted and stuff, I figured it would be good to piggyback off of that theme and make my own version that I could sing and play on guitar. There’s such a rich tradition of songs about boxing in folk music, but MMA really hasn’t had the same appeal for the genre. I have my own theories as to why that is: the sport is young, for the most part it lacks folk hero-style personalities, and it’s largely apolitically compared to boxing in its heyday. What do you think? I think I agree 100%. I think there’s a million MMA fighters who, when they’re asked a question, they answer with “I’ve trained hard for this fight, I’m ready to go, blah blah blah.” I think the sport of MMA needed someone like Conor McGregor to come around and rile things up and make it exciting again. When you released “There’s Only One,” you said that Conor McGregor is putting the arts back in martial arts. That implies that you think there was some sort of artistic appeal to martial arts before now. Who are some other martial artists, emphasis on the latter word, that you admire? If you listen to an interview with Bruce Lee, Bruce Lee wasn’t just kicking and punching, he also had a philosophy behind it and I think the philosophy behind the martial arts is very important. If you’re a kid and you’re watching a movie about ninjas, or whatever it is, there’s a lot of philosophy and they’re putting more meaning behind what they’re doing. It’s not just a fight where you try to knock another person out. You’re expressing your art to the world, if you’re a real artist about it. If you’re just going in punching, kicking, hoping for the best, that’s cool, but it’s just not as interesting as someone who’s going in there and displaying this whole art and doing moves we’ve never seen before. What has the response to “There’s Only One” been like so far? Do McGregor fans like it? What do Aldo fans think? It seems like the haters are excited to listen to the song while they watch Conor McGregor lose, and the fans are excited to listen to the song while they cheer for him to win. It seems like they like the songs on both sides, but I’d prefer for them to be Conor McGregor fans, for sure. Do you know if McGregor has heard it yet? Do you think MMA is something you’ll write about again in the future? Over the next year, from this fall to may, I’m going to be recording an album while living in a jiu jitsu gym and then I’m going to be doing the IBJJF World Championships in May. I’ll be competing at blue belt. So that’s my upcoming martial arts/ music blend. I’m trying to make it into this huge thing, but it’s also kind of silly, too, because I’m going to be training every day full time and then recording at night. So I’m going to be rocking by night and rolling by day. That’s the catchphrase. And, since the song has come out, I’ve had offers to fight in an MMA fight. I would love to do that. It’s something I’ve always wanted to do, but if I were to do it, I would want to win. So the plan right now, tentatively, is to record this alum, do the World Championships in May in California and then, in 2016 some time, go to Japan and fight an MMA fight. So yeah, I have some crazy plans for the next two years, but I’m excited. It should be pretty great. One of the lines in your song is “I heard them shout he'd never beat Jose/ But if you crawl, your entire life.. You'll never walk, you'll never run, you'll never fight.” What do you predict will happen when McGregor faces Aldo? I think he’s going to win, for sure. Jose Aldo’s really good, he’s a great fighter, but he’s never really been in that much trouble while he’s been in the UFC. He’s been bigger than most of the guys that he fights, and he’s had psychological advantage over everyone he fights. I think a lot of the people that he’s fought were just happy to be fighting him and then just trying to get through the rounds. Conor McGregor’s coming in there to win. I thought Jose Aldo actually lost to Frankie Edgar when they fought, I think Frankie Edgar won three rounds against him, and Frankie Edgar is smaller than him. I think Conor McGregor’s too big and his strength is the striking and I think he’s going to outstrike him and I think he can knock him out. Jose Aldo’s a tough guy, so maybe he could survive a couple more rounds after the first round of getting beat up, kind of like the TJ Dillashaw vs. Renan Barao fight, that’s how I see this going. Either he’ll get knocked out early or he’ll survive longer, but I think it’s going to be a striking clinic for Conor McGregor. Everyone’s going to act so shocked, but that’s exactly what’s going to happen. I can’t wait. It’s gonna be great. I can’t wait to send this article to people after the fight, because I’m 100% confident in that prediction. King Daniel can be found on Facebook, Instagram and his official website. 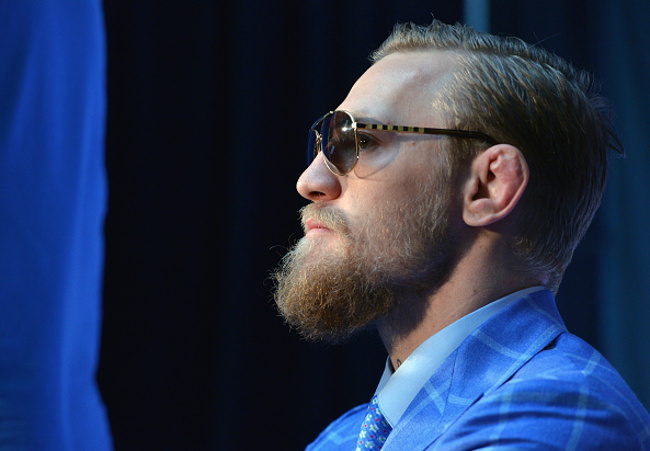 According to Twitter, he’s currently considering writing a new song for UFC 189.